What happens if a missing tooth is not replaced? A missing tooth can lead to potential problems if not treated. - Drifting and shifting of the neighboring teeth causing an unbalanced bite. How can a missing tooth be replaced? 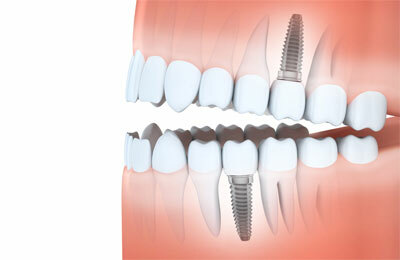 - Increasing stress on the teeth around the area of the missing tooth. 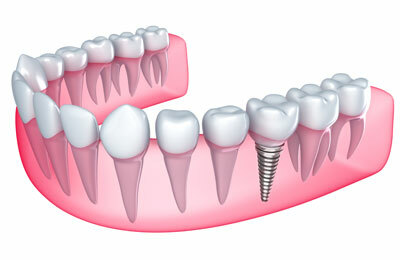 - Bone recession in the area of the missing tooth. 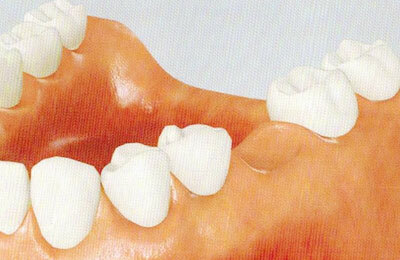 It is a false tooth fused between two porcelain crowns to fill in the area of the missing tooth. The neighboring teeth are prepared (drilled) to attach a 3-tooth fixed bridge. 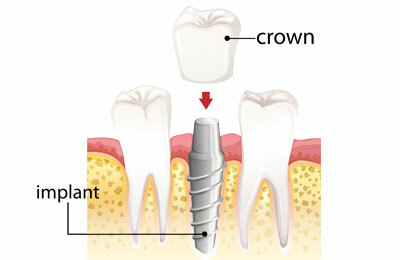 - Root canal treatment might be necessary on the prepared teeth. 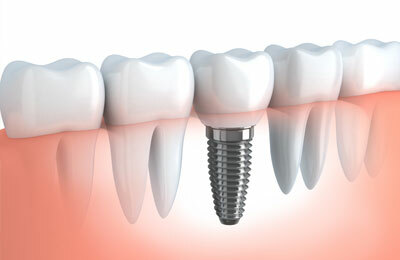 It is an artificial tooth root, made of titanium metal. Dentist places it into your jaw to hold a replacement tooth or bridge. It is a permanent fixture in your mouth that has excellent long-term success. It also provides more advanced options for replacing a missing tooth than conventional removable partial denture or a fixed bridge. It helps to preserve healthy teeth and eliminate the risk of dental decay. Please don't hesitate to call our office at 201-998-1400 for any questions and/or concerns. We are more than happy to help you. 2017 © Hudson Park Dental All Rights Reserved.